The EIE Pro is a tabletop audio/MIDI interface with USB hub in one box. The USB audio interface on the EIE Pro is tailored for professional, project and portable studio setups. This four-in, four-out (4×4) device enables recording at up to 24-bit resolution and sample rates of 44.1 kHz, 48 kHz, 88.2 kHz or 96 kHz into a DAW, recording or performance software on a Mac or PC. The EIE Pro also houses three convenient USB inputs, in addition to its main USB port, enabling it to connect to controllers, hard drives or any other peripheral when native ports on a computer may be limited. The compact recording audio interface contains components including nickel-plated input jacks, analog-style VU meters and an aluminum casing. 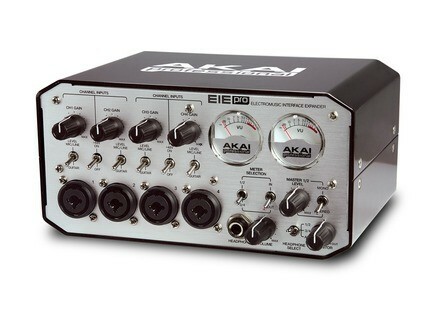 USB audio interface with up to 24-bit recording resolution supporting all standard sample rates (44.1kHz/48kHz/88.2kHz/96kHz). Four XLR-1/4″ combo jacks with phantom power and gain control. Two classic, high-quality VU level meters with switchable sources and RED peak LEDS. Three additional USB ports for connecting other devices through to a computer. 5 Pin DIN MIDI Interface. Headphone output with switchable source and direct monitoring dial. Table-top, solid construction with a great-looking, classic design. 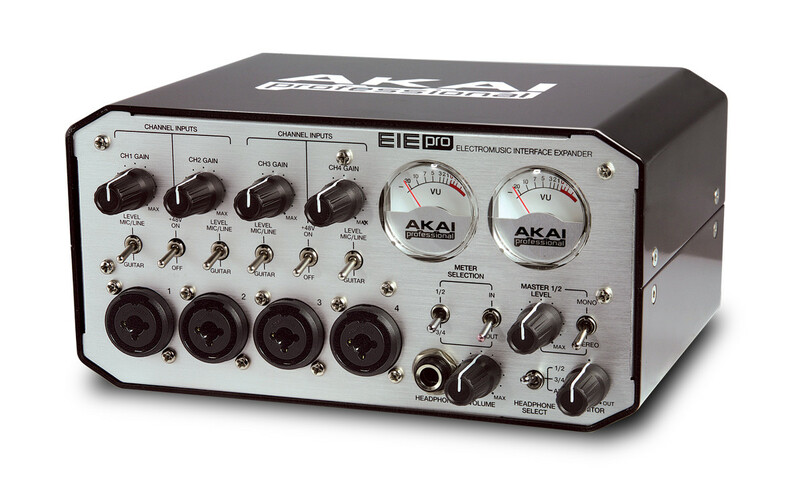 Akai Professional will exhibit the EIE Pro at Booth #400 at the 2011 Summer NAMM show from July 21st – 23rd in Nashville, TN. For more information, check out the Akai Professional website. Apple Mac OS X Lion Apple announced that Mac OS X Lion is now available as a download from the Mac® App Store for $29.99. Voltage Disciple Oscillometric Voltage Disciple has released the Oscillometric patch bank of 100 sounds for Madronna Labs Aalto synth. Tekky Synths PsYbAsSyX v3.5 Tekky Synths has updated PsYbAsSyX FREE to version 3.5.